The 70 research subjects involved in the JHU study were between the ages of 53 and 91. Subjects that continuously reported poor sleep showed a disproportionate amount of beta-amyloid in areas of their brain. Beta-amyloid is a compound substance that has been directly linked as a definitive indicator of ALS. In a study consisting of 2,425 Icelandic men between the ages of 67 and 96, researchers discovered that men with sleep problems were 60 percent more likely to develop prostate cancer. Shockingly, this number increased two-fold when participants reported difficulty staying asleep. Furthermore, researchers discovered that sleep deprived males were more susceptible to the cancer advancing to the late stages. Scientists attribute the correlation between cancer and sleep deprivation to low levels of melatonin. Melatonin is an important chemical for suppressing tumor growth. When this chemical is too low – as it is with people who are sleep deprived – it becomes possible to accelerate cancerous growths. 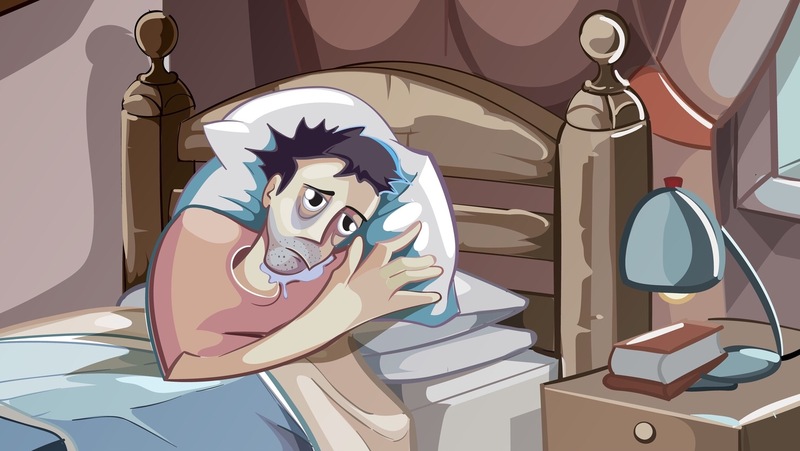 In simple terms, poor sleep is absolutely terrible for heart health. Poor sleep has been linked to cardiovascular disease for years; however, it wasn’t until just recently that scientists discovered a stronger correlation than before. In a 14-year study of 657 Russian men, two-thirds of those that experienced a heart attack also had a sleep disorder. Additionally, subjects reporting a sleep disorder were 2.6 times more likely to develop a myocardial infraction, and 1.5 to 4 times more likely to experience a stroke. Loads of research had already concluded that a link existed between diabetes and poor sleep habits. However, a University of Chicago study further extended this link to include potential obesity – a condition known to precede diabetes. Researchers discovered that little sleep can exacerbate the accumulation of fatty acid levels within the blood, which can negatively alter how the body regulates blood sugar. In the study of 19 men, researchers discovered that those who slept only four hours over a three night span had higher levels of fatty acid within the blood – up to a 30 percent increase over subjects who received 8 hours of sleep. This one is both surprising and extremely disturbing. In a 2014 study conducted at the Stanford University School of Medicine, researchers found a correlation between lack of sleep and incidence of suicide. During the 10-year study, 20 of the 420 participants that committed suicide reported having suffered from poor sleep. Ultimately, researchers concluded that individuals that suffer from lack of sleep are 1.4 times more likely to end their lives.Additionally, this risk increases with a combination of advanced age and stress levels. It is quite clear that sleep is essential to our health and wellness. It is a crucial activity for reducing the risk of a myriad of diseases and conditions. For this reason, we’ll list a few ways to improve sleep quality, as suggested by the National Sleep Foundation (NSF). #1 Develop and maintain a sleep schedule; make it a priority to wake up and go to bed at the same time every night, even on the weekends. #2 Relax every night before bed. Try to practice a routine activity (e.g. reading, meditation) as a habit every night before falling asleep. #3 Exercise daily. Exercise is an indispensable activity for improving sleep. Do something, anything to get your body in motion and break a sweat. #4 Look at your sleep environment. Is your room at the right temperature? It should be between 60-70 degrees Fahrenheit (?16-21 degrees Celsius). The room should be cool, free from light, and isolated from noise. #5 Look at your pillows and mattress. Are they conducive to good sleep? If not, there are many bedding stores with knowledgeable staff that can provide some suggestions.